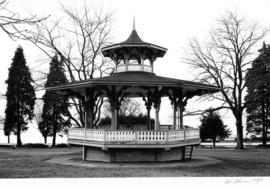 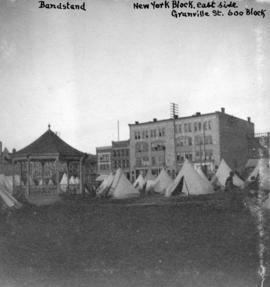 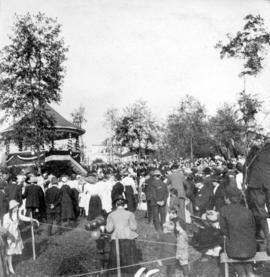 Item is a photograph showing the Alexandra Bandstand. 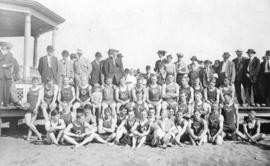 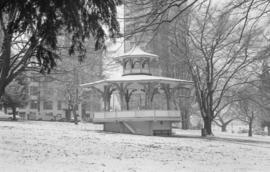 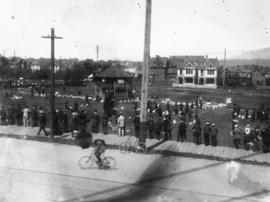 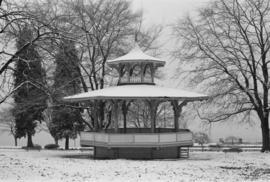 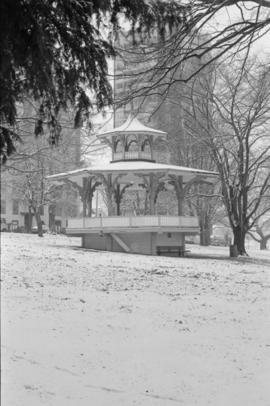 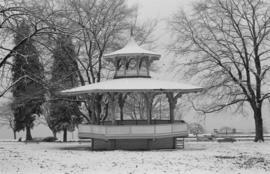 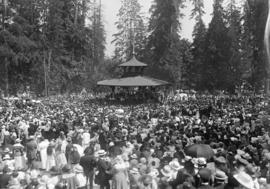 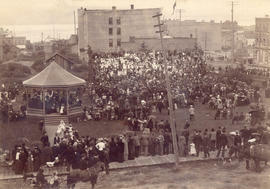 Item is a photograph of the bandstand at Alexandra Park, English Bay. 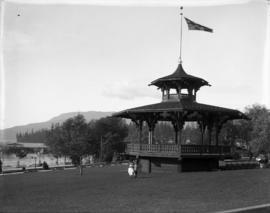 Two small children walk on the grass near the bandstand and the English Bay Pier can be seen in the lower left background. 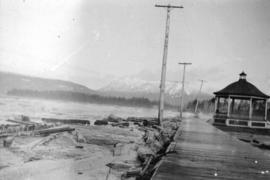 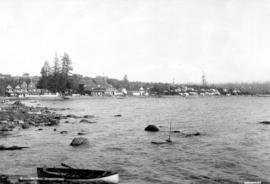 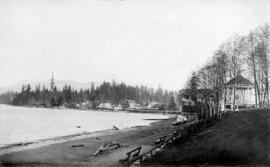 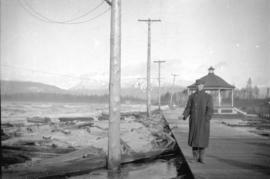 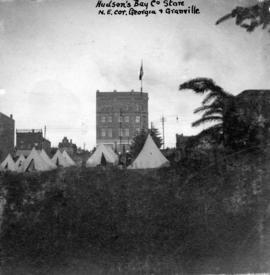 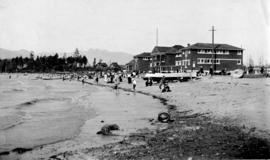 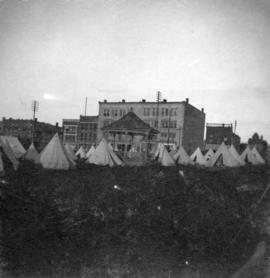 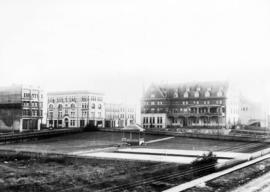 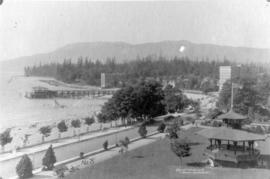 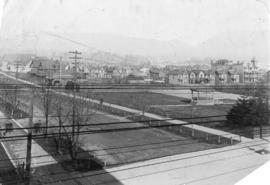 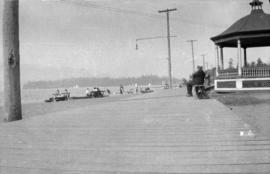 Photograph shows Beach Avenue, the English Bay pier, the Englesea Lodge and Sylvia Court Apartment buildings and Alexandra Park. 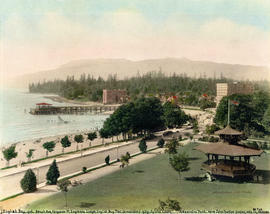 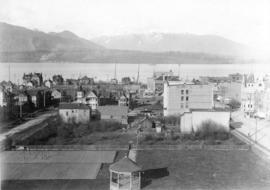 Photograph shows the English Bay pier, the Englesea Lodge and Sylvia Court Apartment buildings and Alexandra Park.